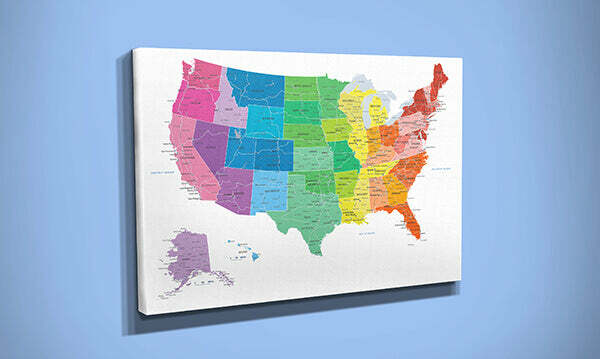 Pin your travels around the USA with this bight and cheerful frameless US wall map. Our Gallery Wrapped Colorful USA Map is is an interactive, fun way to show off past travels and plan out that next big adventure. Relive your favorite travel memories each time you add a new pin to your map. 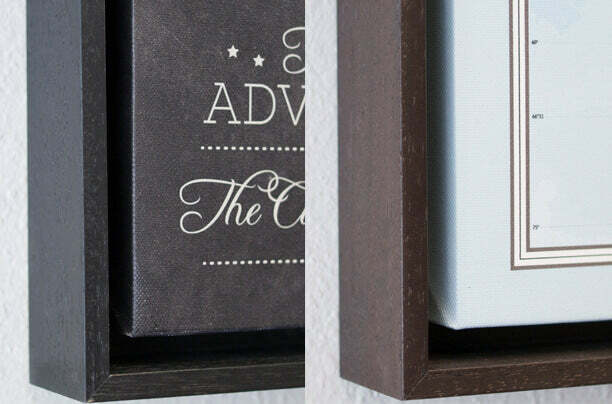 The modern, frameless design of this gallery wrapped US map ensures you never have to replace an outdated frame. The rich canvas texture makes the vivid colors of this map really pop, making it a fun choice for a kid’s room. Inspire a love for geography and travel at an early age! Create your very own one-of-a-kind work of art by personalizing your map with one of our 6 custom templates. Our Gallery Wrapped Colorful US Canvas Map makes a unique gift that will bring a smile to your loved one’s face for many years to come. Awesome.....Just awesome!! A beautiful and custom work-of-art for our home! You can not go wrong with a product from Push Pin Travel Maps! Mike and Brenda have a first class operation encompassing everything a customer is looking for in today's competitive online marketplace (product offerings, website design, ease of ordering/payment, customizing, order acknowledgement, personalization confirmation, tracking, shipment confirmation, out for delivery confirmation, and delivery confirmation).